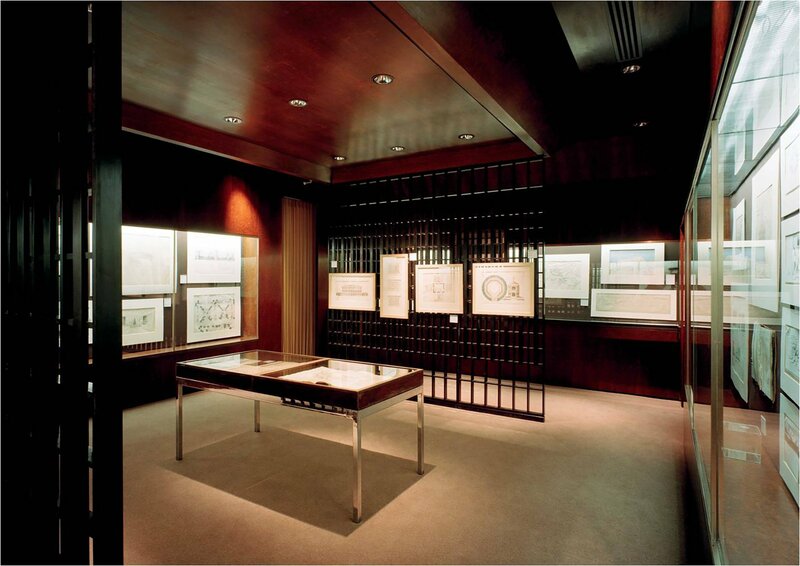 This year, 2014, is the fortieth anniversary of a seminal event in the founding of the Irish Architectural Archive. 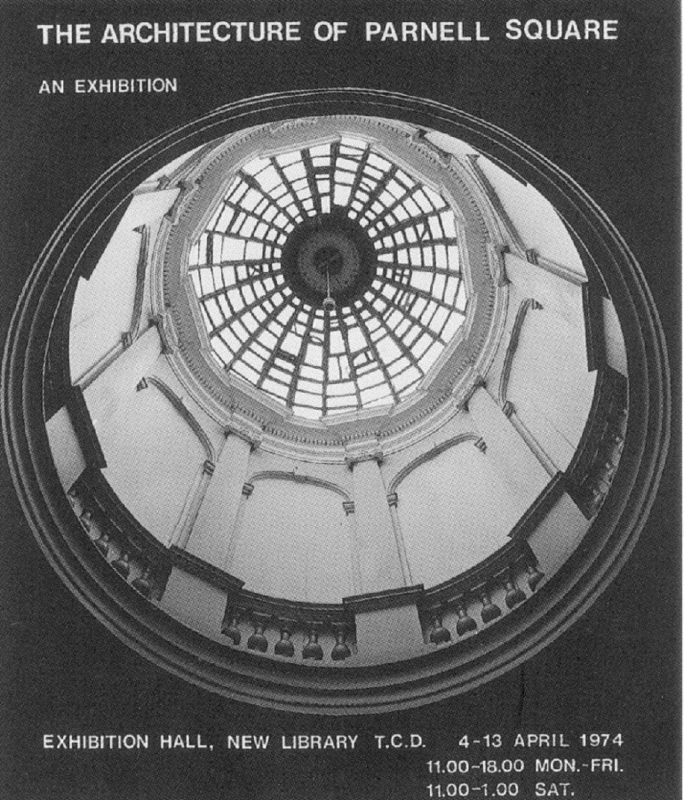 In April 1974 a photographic exhibition entitled The Architecture of Parnell Square was held in the Exhibition Hall of Trinity College’s New Library. The exhibition was organised by Dr Edward McParland of Trinity’s History of Art Department and included text panels, portraits, some measured drawings, and photographs by David Davison which Desmond Guinness had commissioned as a first step in a comprehensive survey of the Square. The images revealed to a responsive public the extraordinary decorative wealth behind the severe exteriors of the Square. When the exhibition was over, there was no obvious place where those photographs could be placed so that they might continue to be accessible to the public, no Irish equivalent of the National Monuments Records in the UK or the Historic American Buildings Survey, no repository or archive dedicated specifically to recording Ireland’s buildings. 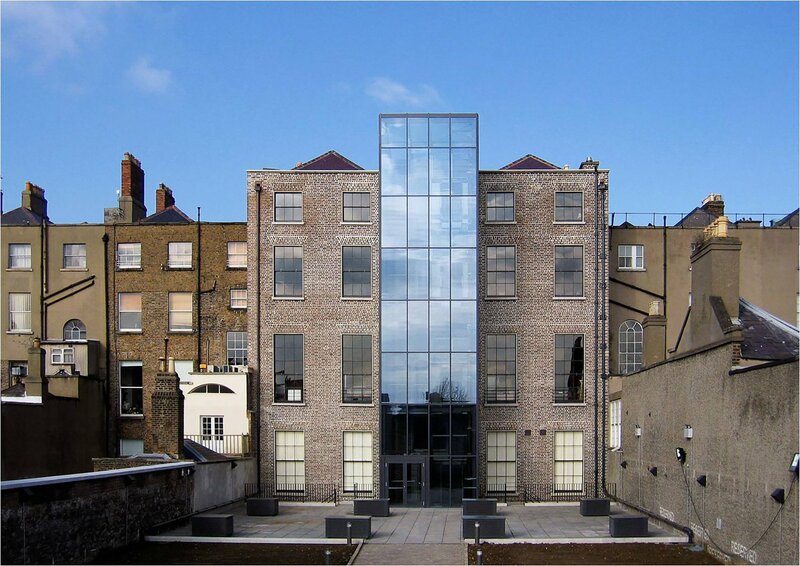 It was to fill this gap – in effect to provide a home for the Parnell Square photographs – that the Irish Architectural Archive was established. 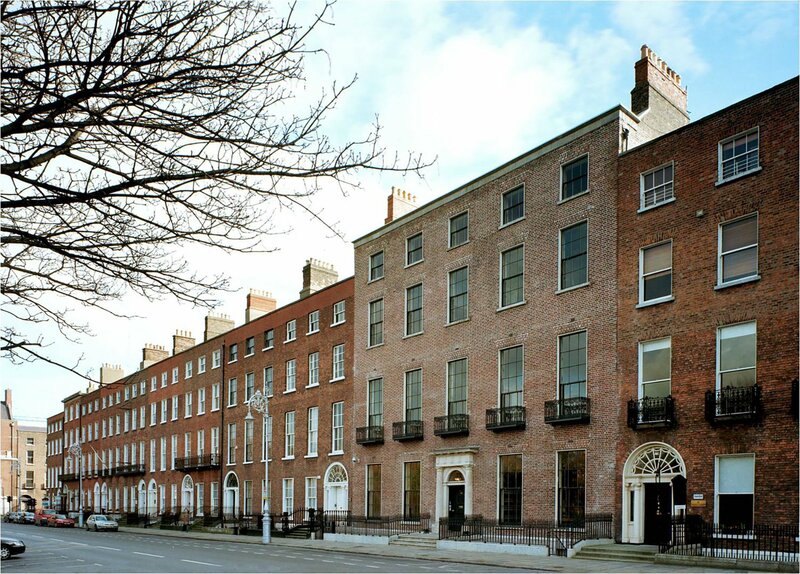 Parnell Square, north side from steps of No. 14. David Davison, 1974. The exhibition also had the effect of persuading Dublin Corporation to commission a second wave of survey photography in 1975, again with Edward McParland directing and David Davison taking the photographs. Between them, the two sets of images present a vivid record of Parnell Square, its environs, its interiors and the buildings in its centre. Parnell Square, west side from No. 28 Granby Row. David Davison, 1975. 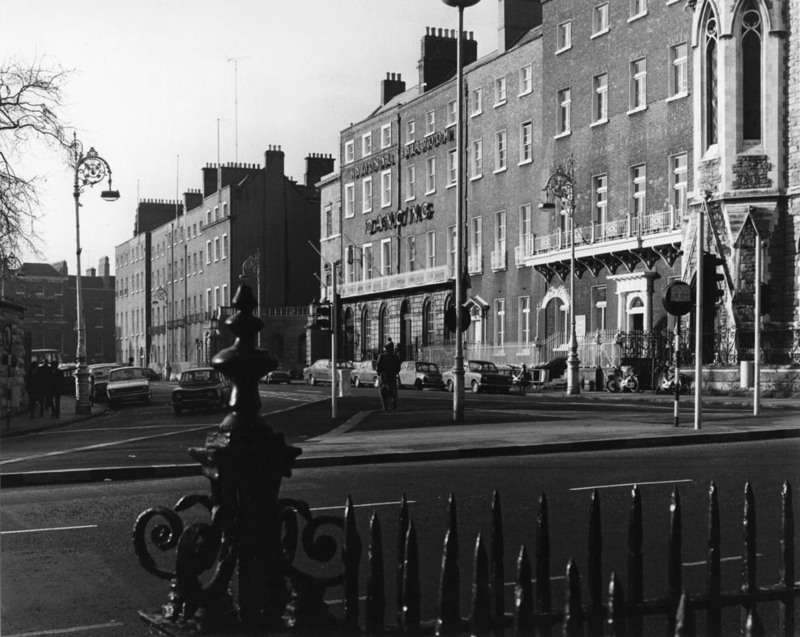 As the first step in marking its fortieth anniversary in 2016, the Archive is re-presenting the wonderful black and white photographs of Parnell Square taken by David Davison for the 1974 exhibition. 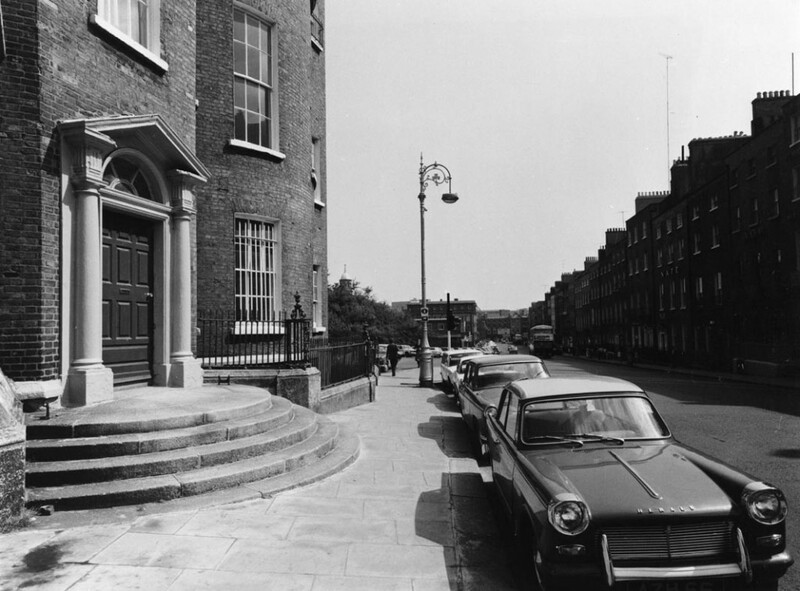 As Edward McParland noted in 1974, the photographs ‘record not only the more obvious architectural beauty of the great buildings, but also the less conspicuous handiwork of our craftsmen – builders, masons, carvers, plaster and metal workers – who contributed to Dublin’s justified reputation as a great European city. Further, the photographs permanently record the appearance of part of the Dublin of the 1970’s. Though we now take this for granted, we forget how remote, how difficult to recapture by other means, this appearance will be to future historians’. Parnell Square, No. 18. 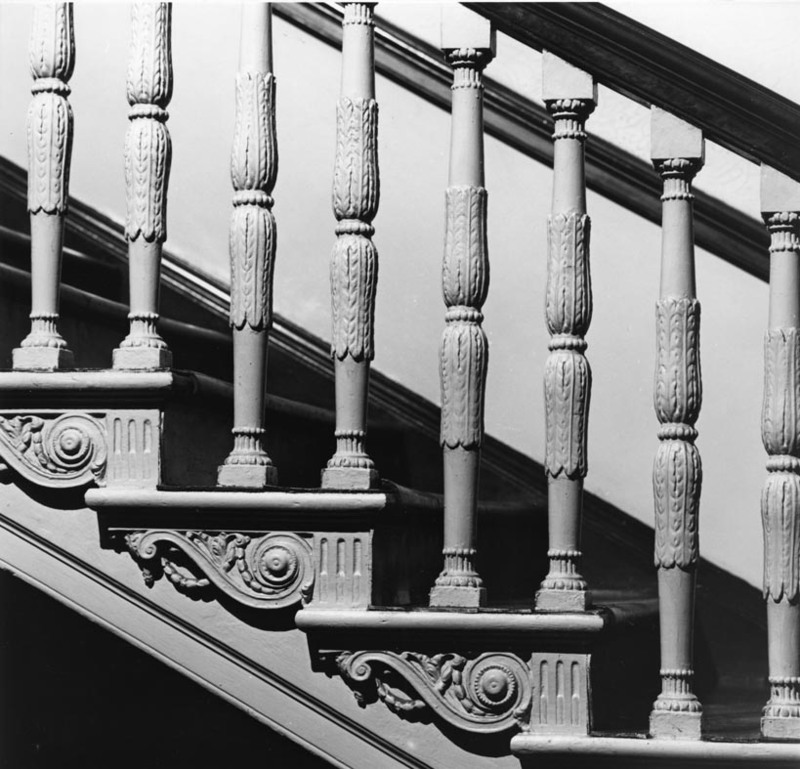 Staircase detail. David Davison, 1974. The Archive would like to acknowledge the support provided for this exhibition by Davison & Associates and Dublin City Council.